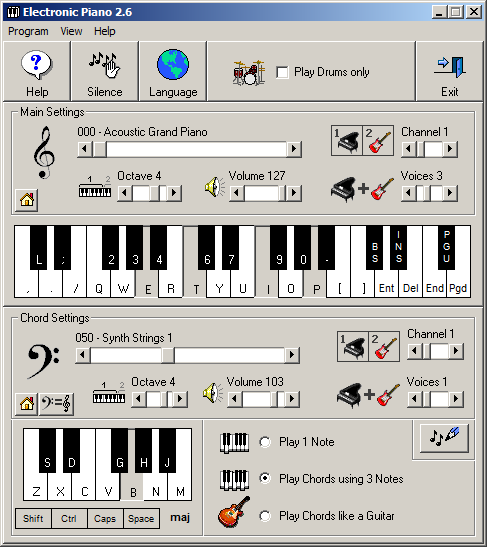 Electronic Piano 2.6 is a Freeware program that allows the user to play Musical Notes, Chords and Drums using the computer keyboard. Right-click the Link and choose "Save target as...". After the download, unzip the file "Electronic_Piano.zip" and run the "Setup Electronic Piano" program. Maurício Antunes Oliveira is a Software Developer and a Microsoft Certified Professional since 1999.